Lunanshee's Lunacy: The Files are Coming! The Files are Coming! The Files are Coming! The Files are Coming! 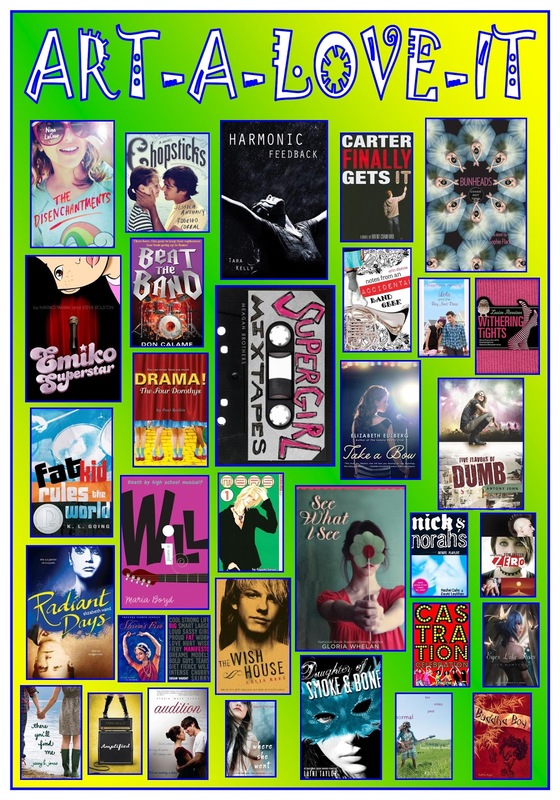 YA titles that center around the Arts. If you look closely, you will notice a new tab at the top of my blog labeled "Files". What is in this mysterious new tab you ask? It is the place where I am putting ALL of my Book Posters and Bookmarks! These items are free and may be used by teachers or librarians who work with teens. DISCLAIMER: Book art copyrights belong to their respective owners. These posters/bookmarks are to be used only for NON-COMMERCIAL use by teachers and librarians seeking to increase teen literacy and reading. A Stop 'Dear Teen Me' Blog Tour!